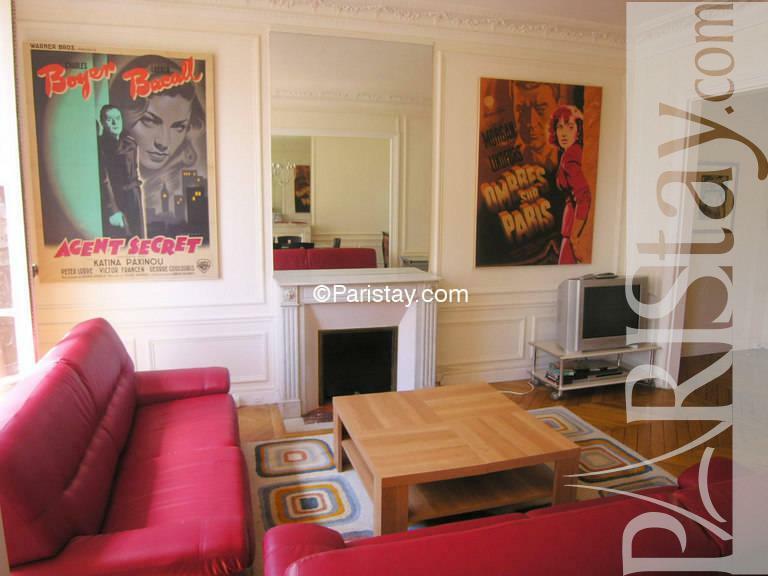 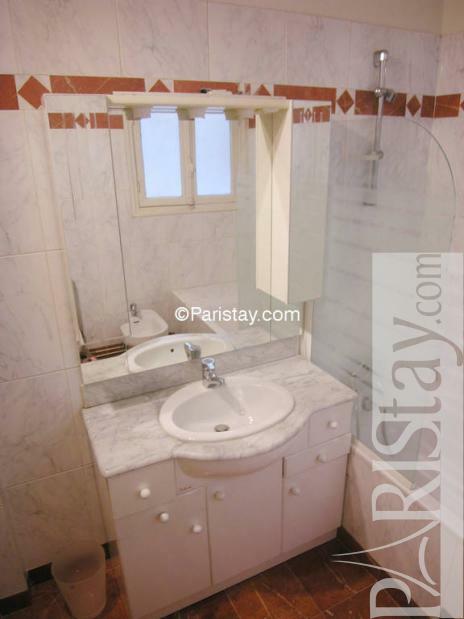 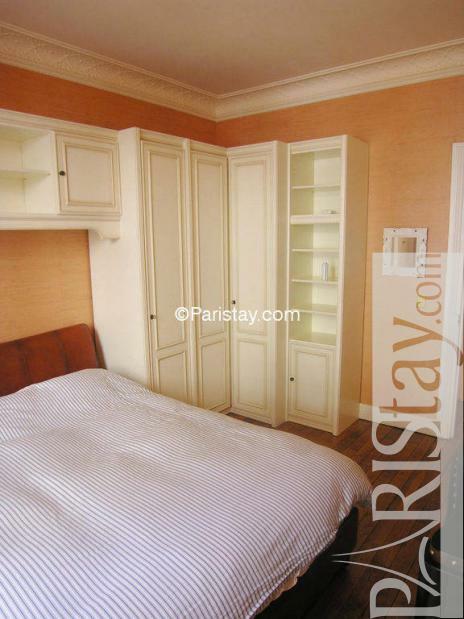 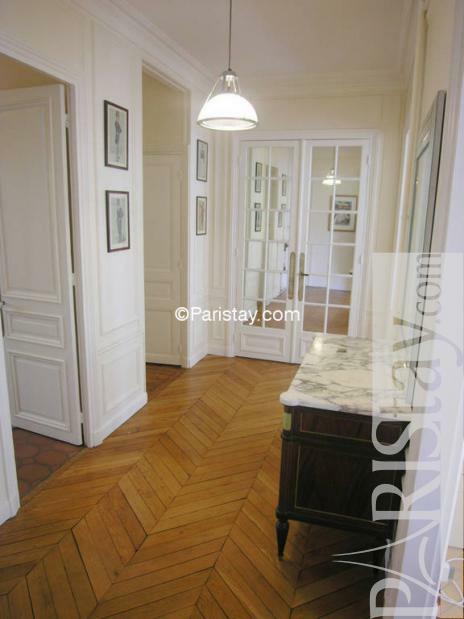 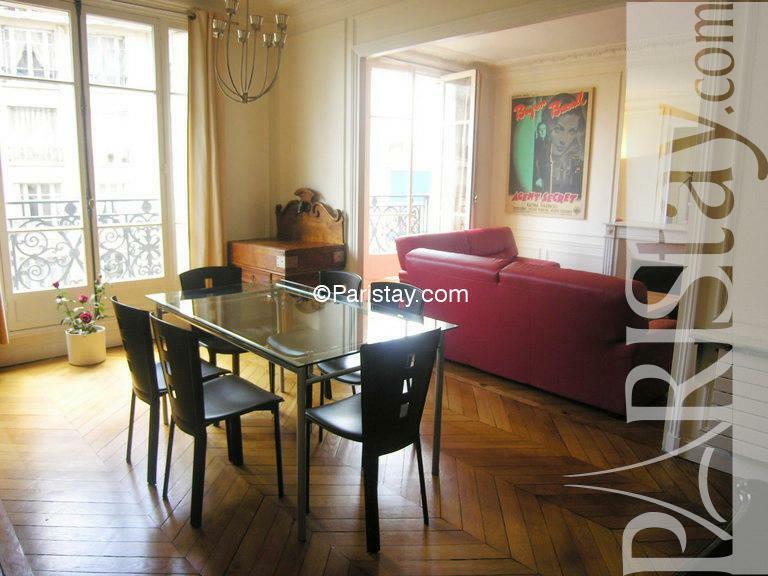 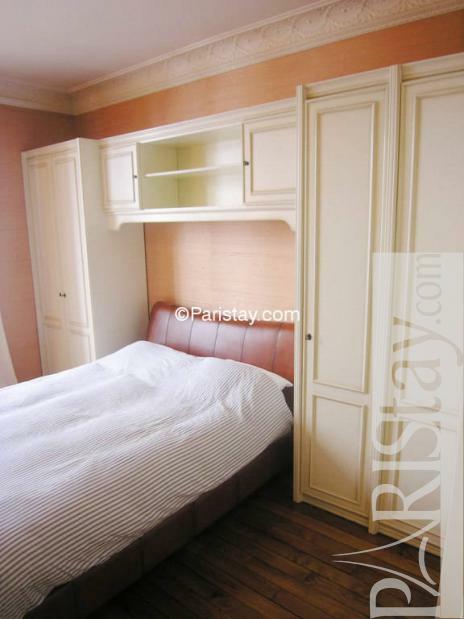 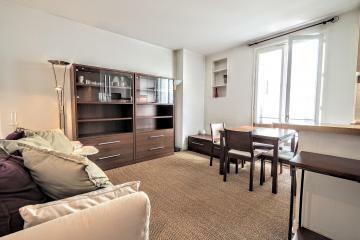 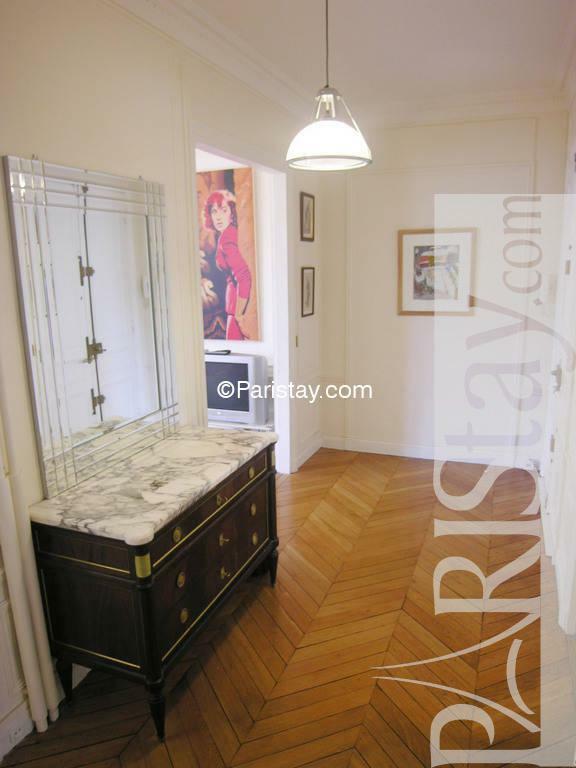 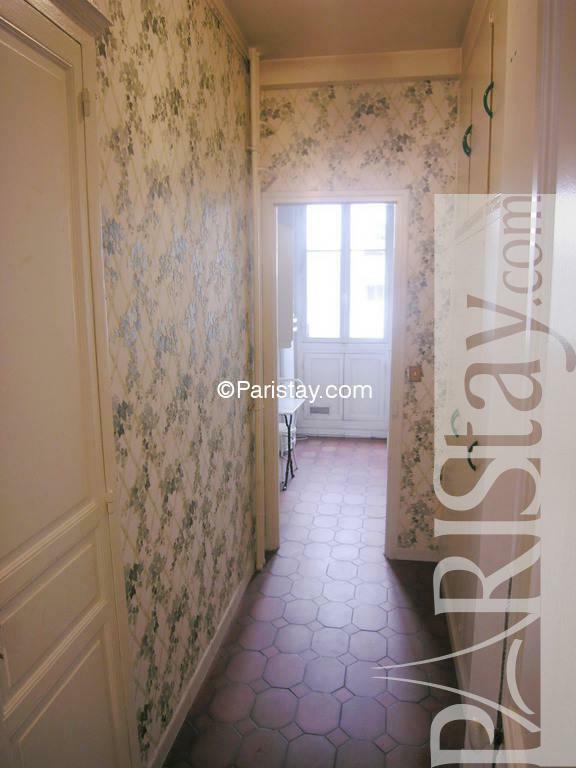 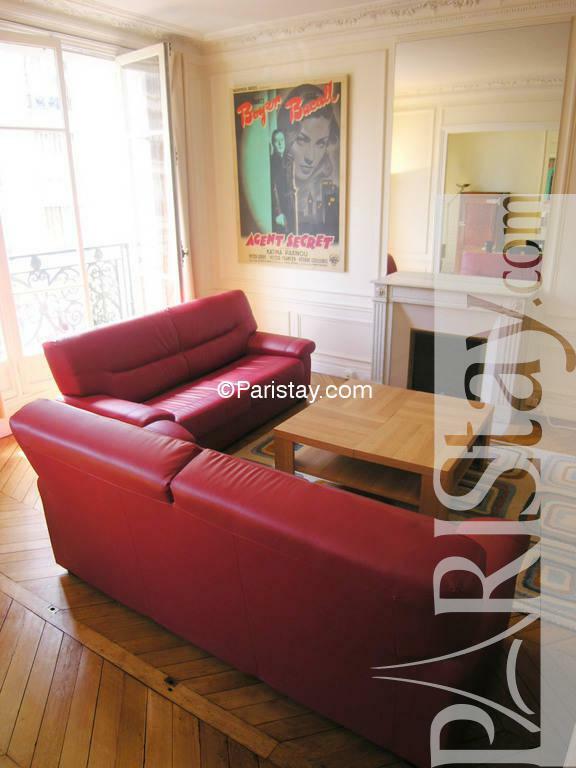 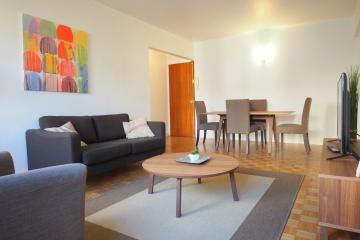 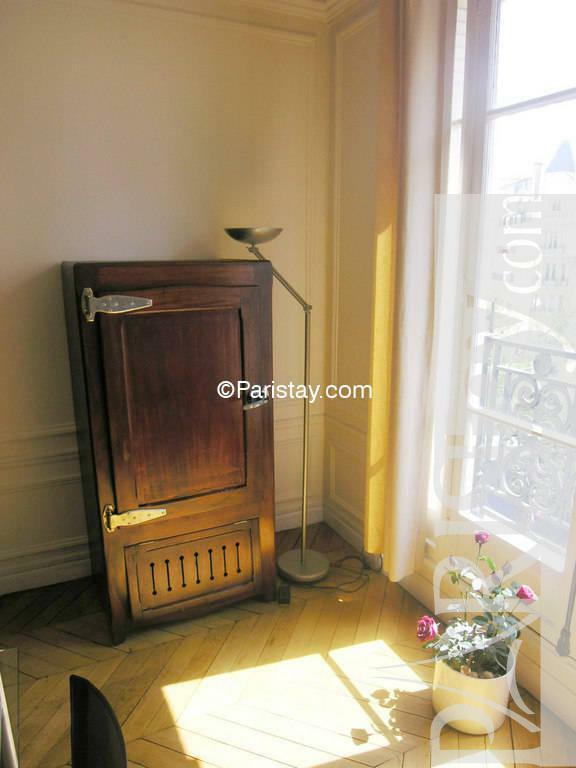 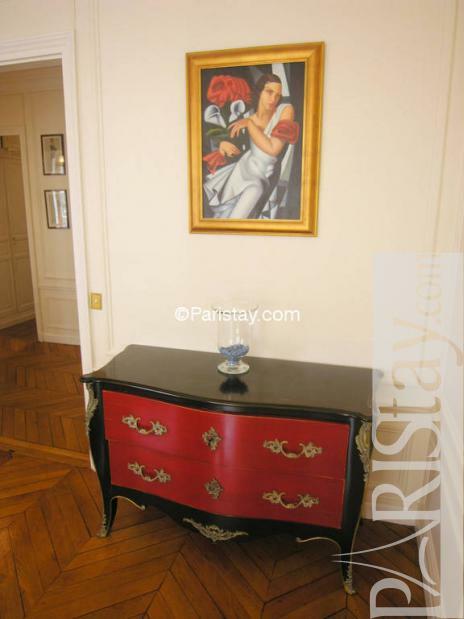 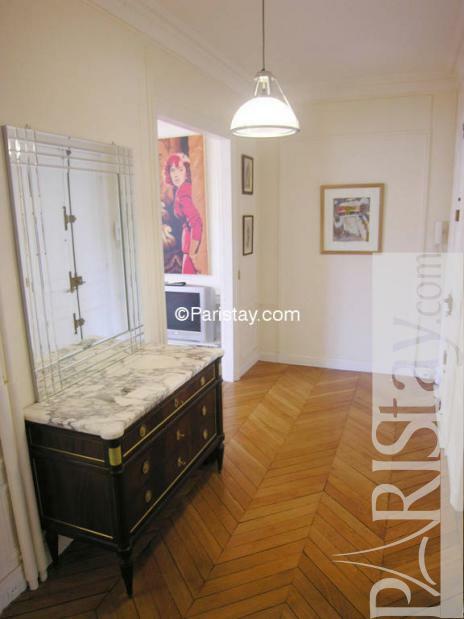 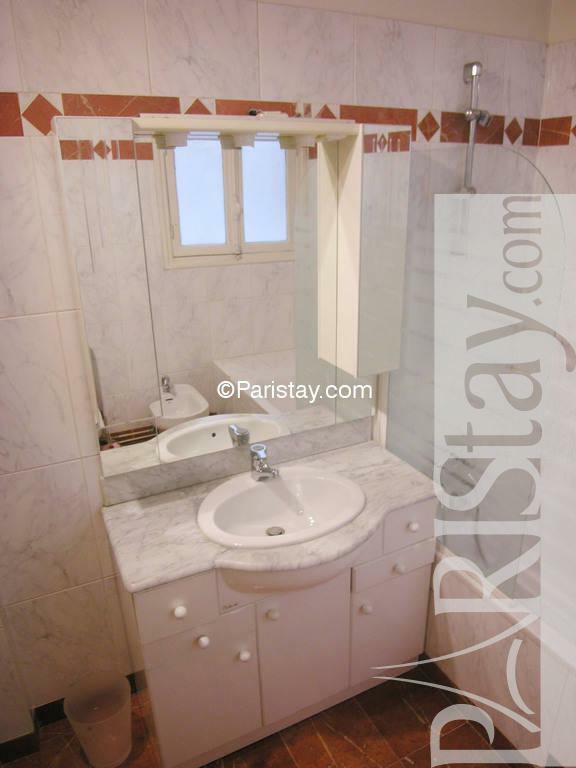 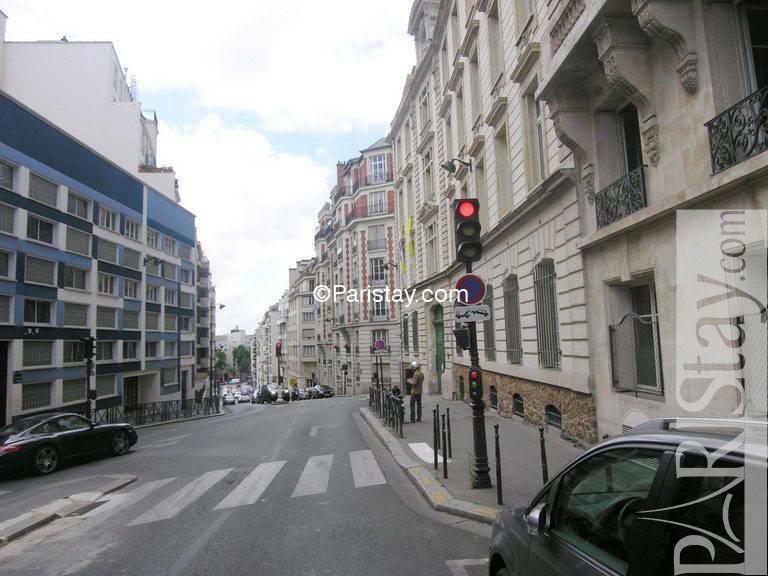 Comfortable, classic and elegant Paris one bedroom apartment conventienly located in a residential area. 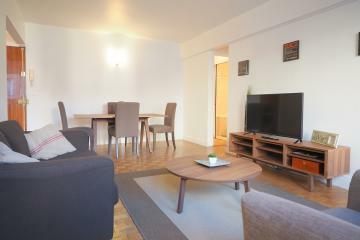 Spacious living room beautifully decorated with 2 leather sofas, mirror, wooden floors, decorative fireplace, TV. 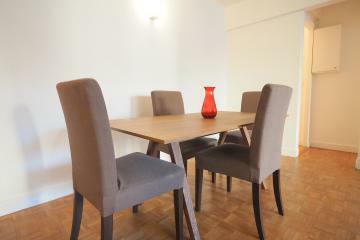 Nice dining area with a large table for 6. 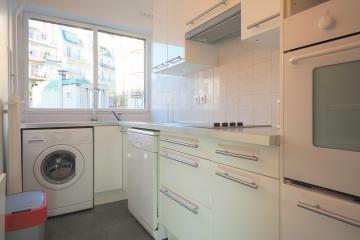 Fully equipped kitchen to cook. 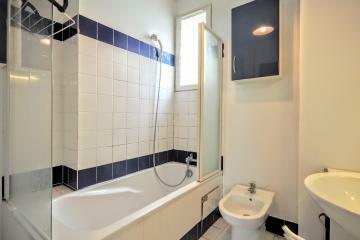 Clean bathroom with a bath. 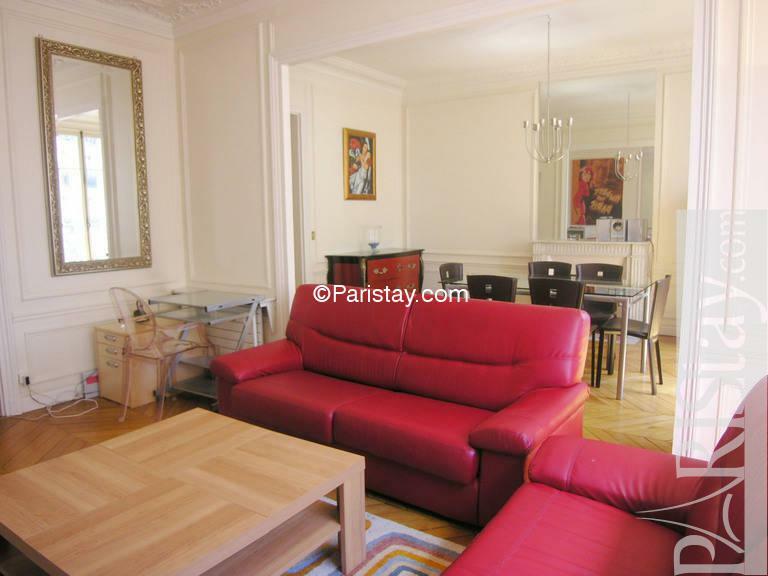 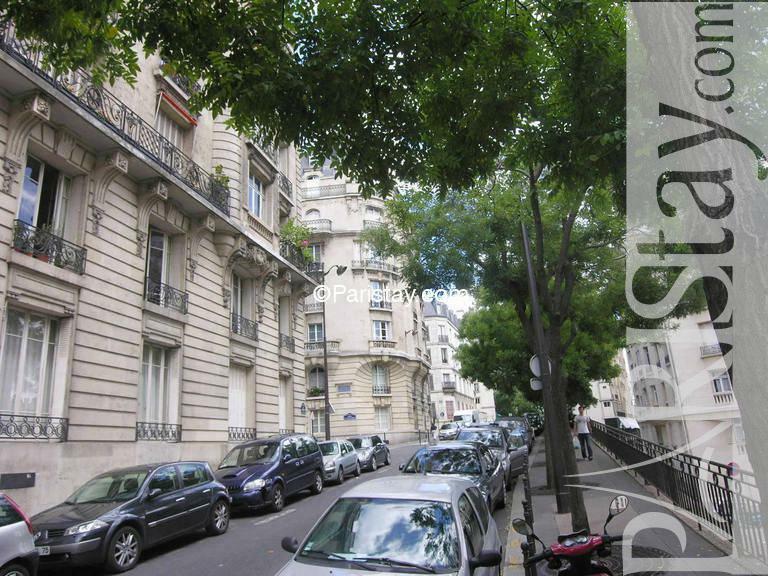 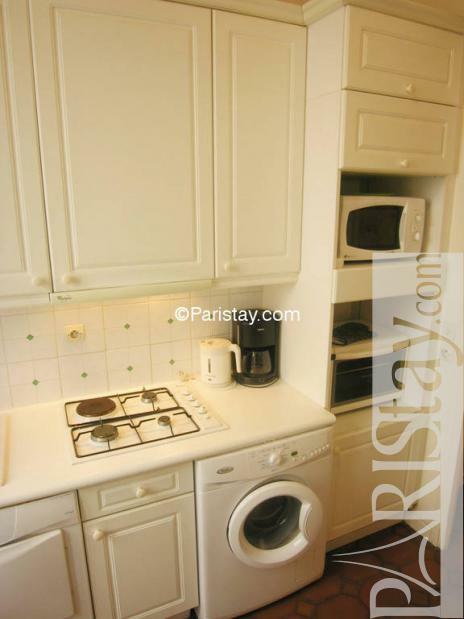 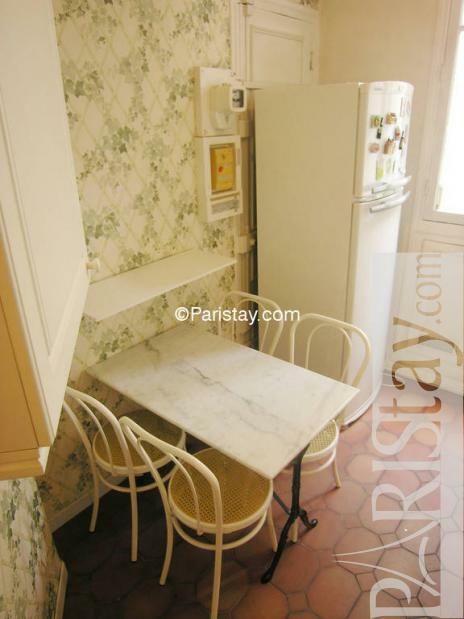 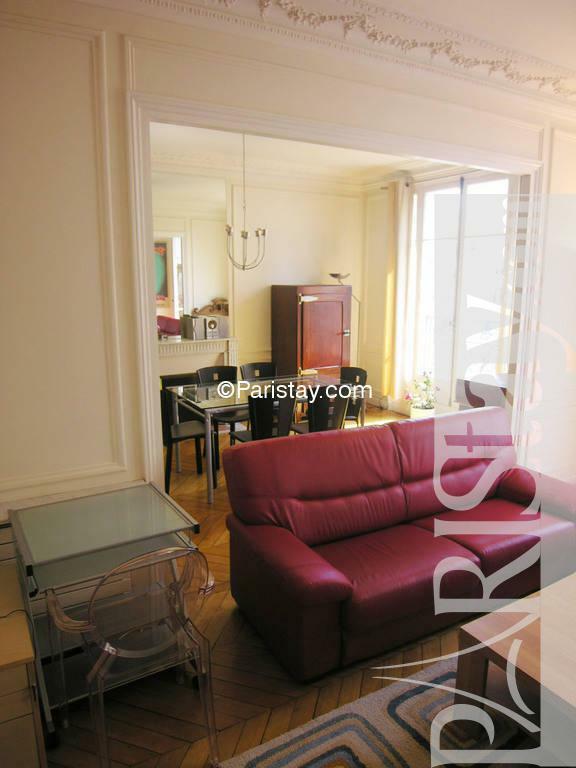 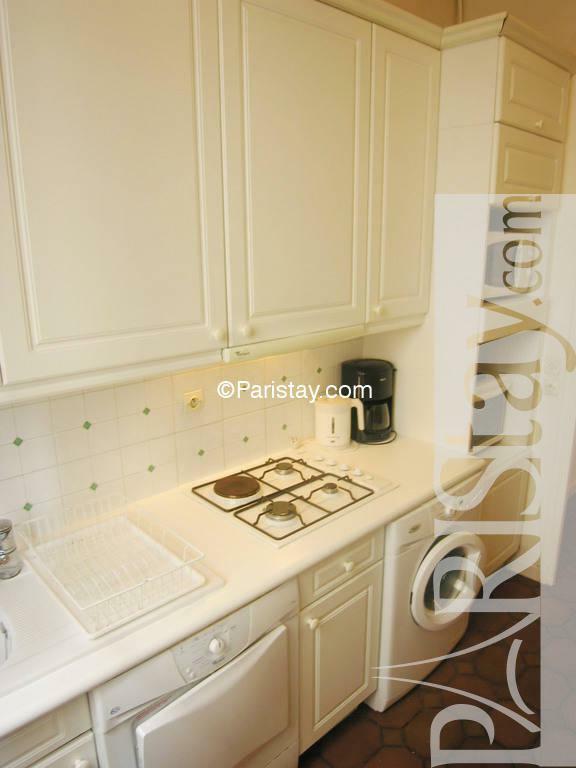 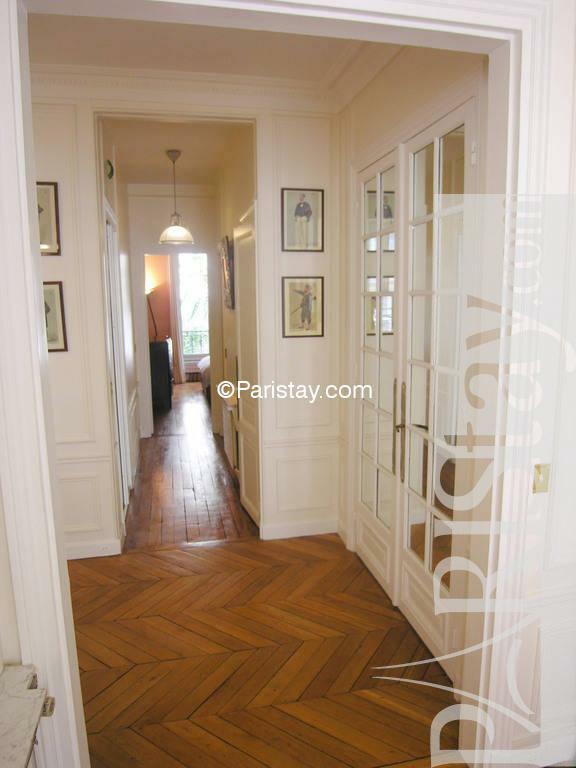 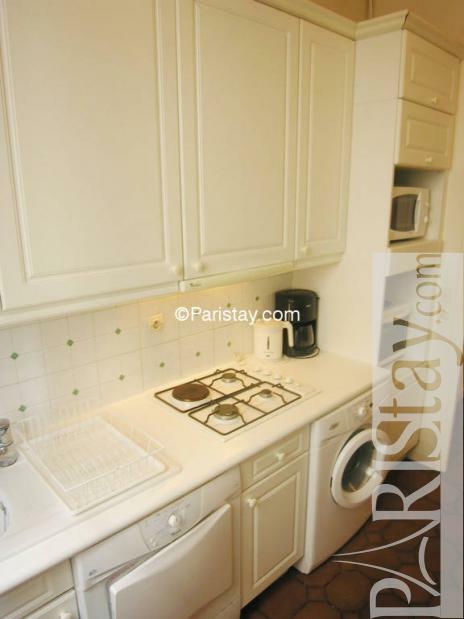 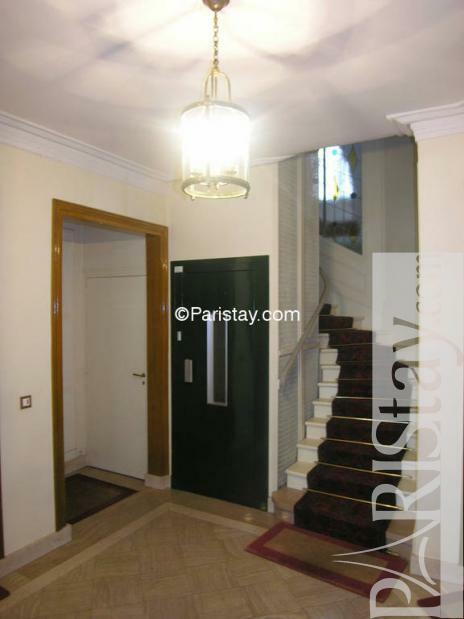 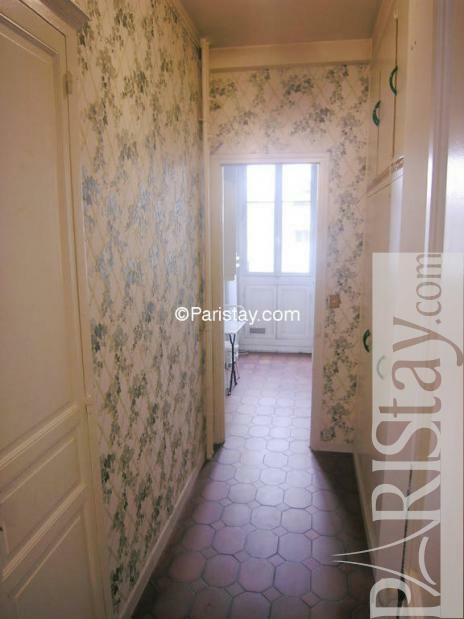 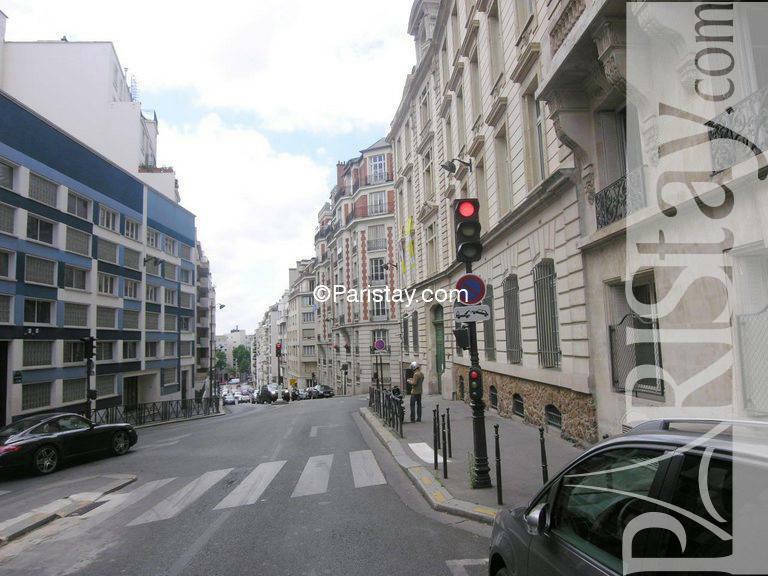 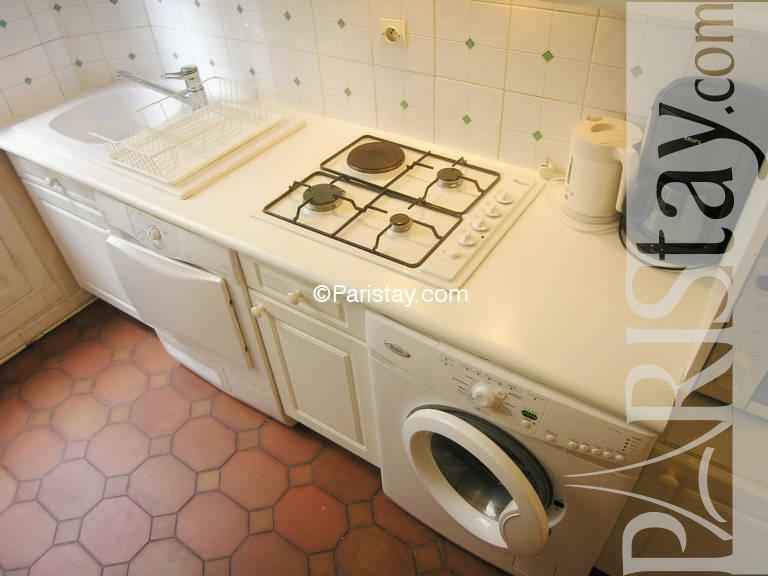 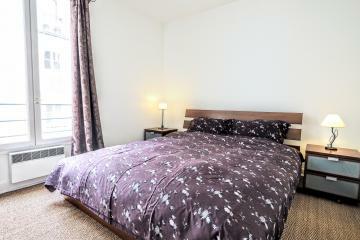 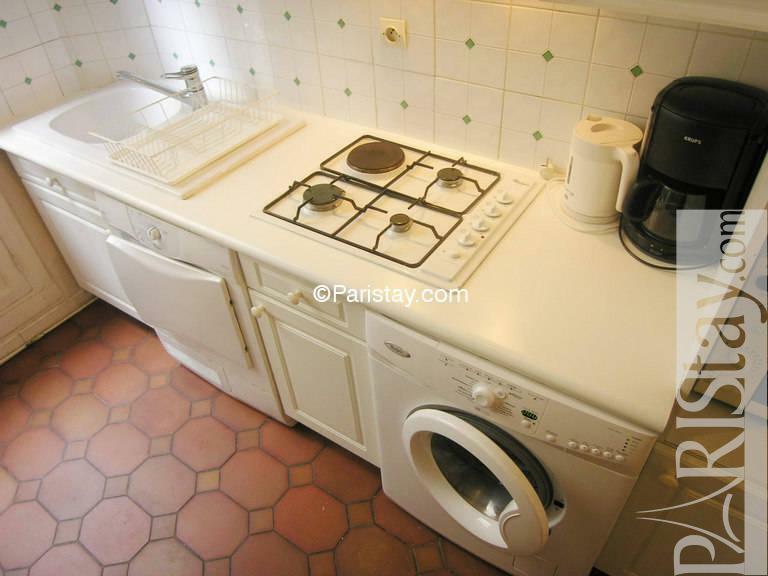 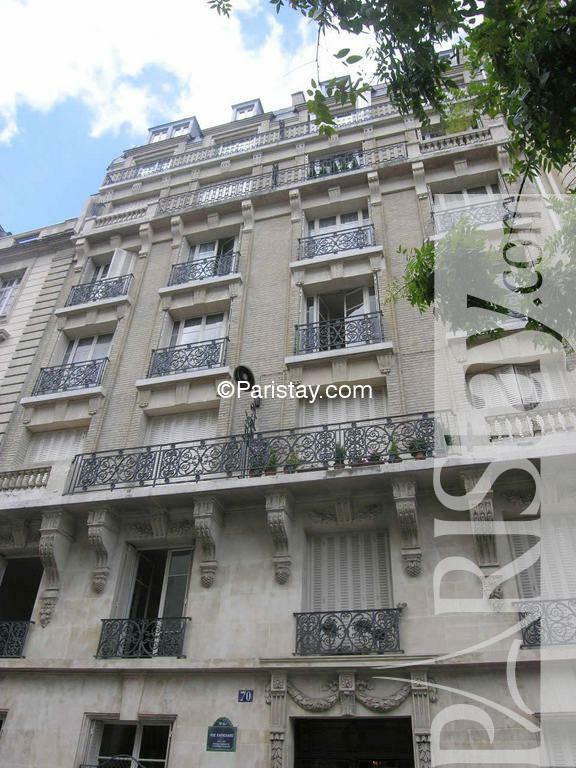 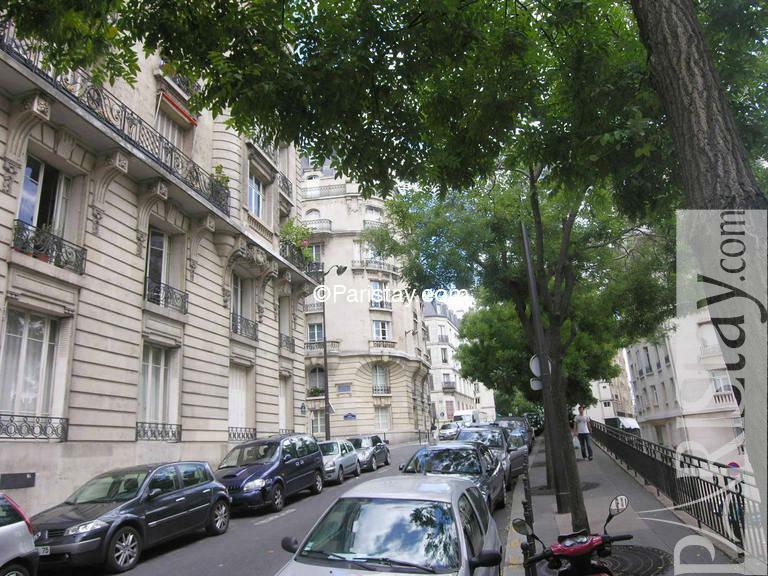 Within easy walking distance to the Eiffel Tower. 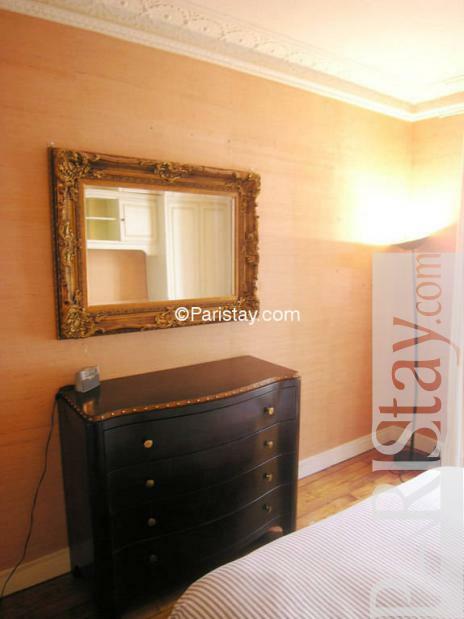 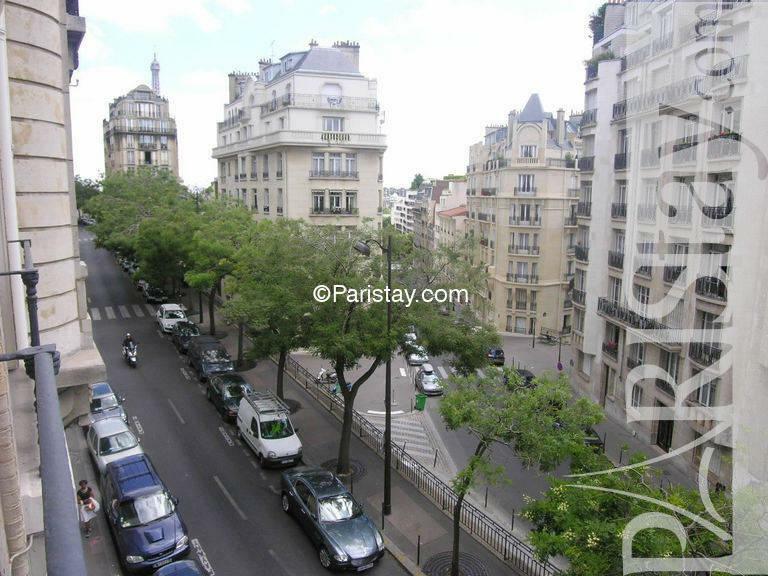 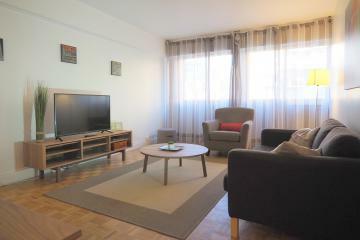 Perfect to enjoy Paris long term rentals. 1900's Building, 3 th floor, with Lift, entry code security system, with intercom, 1 bedroom Appartement, furnished, Approx: 82m² / 882 Sq.Ft.